We cater for all couples and families with our professional and friendly atmosphere offering great hotel accommodation with traditional B&B, bed and breakfast facilities. 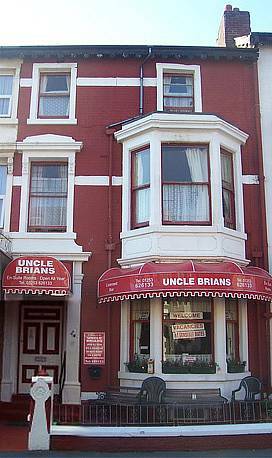 Situated close to the centre of the town, Uncle Brian’s is only a few minutes walk to the main shopping area of Blackpool and many of the local attractions, including the famous Blackpool Tower, North Pier, Promenade, The Grand Theatre and many of Blackpool’s nightclubs, including Funny Girl’s and The Syndicate. 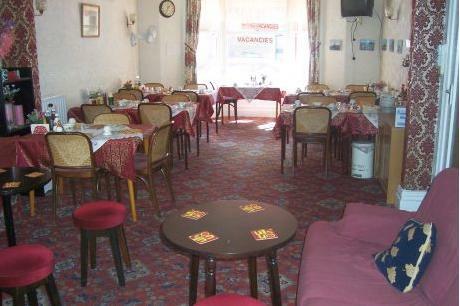 Licenced bar and dining room. Parking available near the hotel. 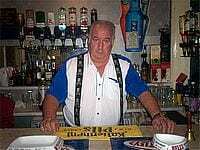 Uncle Brian’s Hotel is open all year and welcomes all visitors including coach parties and contractors/workmen. Contact Brian today for details of tariff and availability or check out our website. Place Categories: North Pier, North Pier Couples, North Pier Families, North Pier Groups, North Shore, North Shore Couples, North Shore Families and North Shore Groups.